You may view and print Content that we publish on our Website provided that (a) the Content is used solely for personal, informational, non-commercial purposes, and (b) the Content is not modified. We assume no responsibility for the accuracy of the Content provided on our Website, use of any Content is at your own risk. Any software and accompanying documentation that you download or access through the Website is the copyrighted work of CarBuyersArizona.com and/or a third party software provider. Use of such documentation and software is subject to the terms of copyright laws or software license agreement that accompanies the software. Your use, reproduction or redistribution of the documents is prohibited except as expressly provided for in the applicable license agreement. Except where expressly provided otherwise, all content is provided on an “as is” basis, and CarBuyersArizona.com expressly disclaims all warranties of any kind, express or implied, including, but not limited to, the implied warranties of merchantability, fitness for a particular purpose and non-infringement. 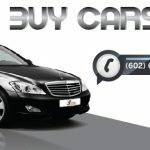 CarBuyersArizona.com may, in its sole discretion, at any time terminate your access to the Website. ALL CONTENT, DOCUMENTS, MATERIALS, INFORMATION, SOFTWARE, PRODUCTS AND SERVICES PROVIDED ON THE WEBSITE, ARE PROVIDED ON AN “AS IS” AND “AS AVAILABLE” BASIS. 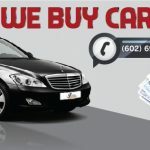 CarBuyersArizona.com DISCLAIMS ALL WARRANTIES OF ANY KIND, WHETHER EXPRESS OR IMPLIED, INCLUDING, BUT NOT LIMITED TO, THE IMPLIED WARRANTIES OF MERCHANTABILITY, FITNESS FOR A PARTICULAR PURPOSE AND NON-INFRINGEMENT. IN NO EVENT SHALL CarBuyersArizona.com BE LIABLE FOR ANY DIRECT, INDIRECT, INCIDENTAL, SPECIAL OR CONSEQUENTIAL DAMAGES, OR DAMAGES FOR LOSS OF PROFITS, REVENUE, DATA OR USE, INCURRED BY YOU OR ANY THIRD PARTY, WHETHER IN AN ACTION IN CONTRACT OR TORT, ARISING FROM YOUR ACCESS TO, OR USE OF, THE WEBSITE OR ANY CONTENT, DOCUMENTS, MATERIALS, INFORMATION, SOFTWARE, PRODUCTS OR SERVICES DOWNLOADED OR OTHERWISE OBTAINED THROUGH THE USE OF THE WEBSITE. You agree to defend, indemnify and hold harmless CarBuyersArizona.com its officers, directors, employees and agents from and against any and all claims, liabilities, damages, losses or expenses, including reasonable attorneys’ fees and costs, due to or arising out of your access to or use of the Website.